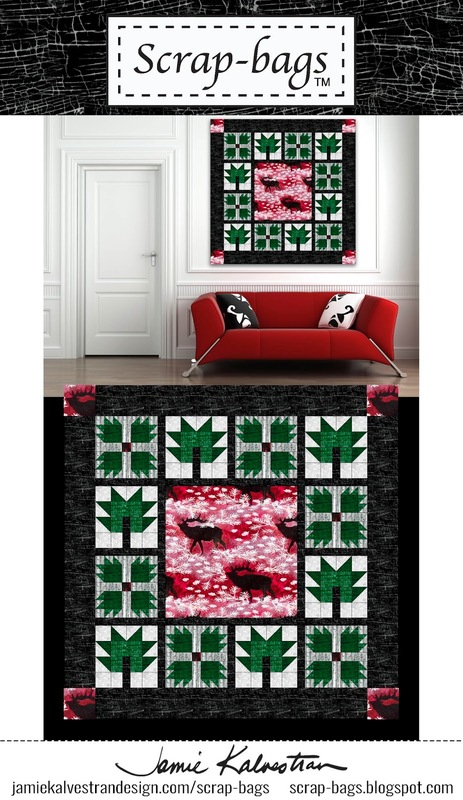 This quilted wall hanging is approximately 43" square and can be used as a table topper too. Bright and happy and perfect for holiday decorating or gift giving. 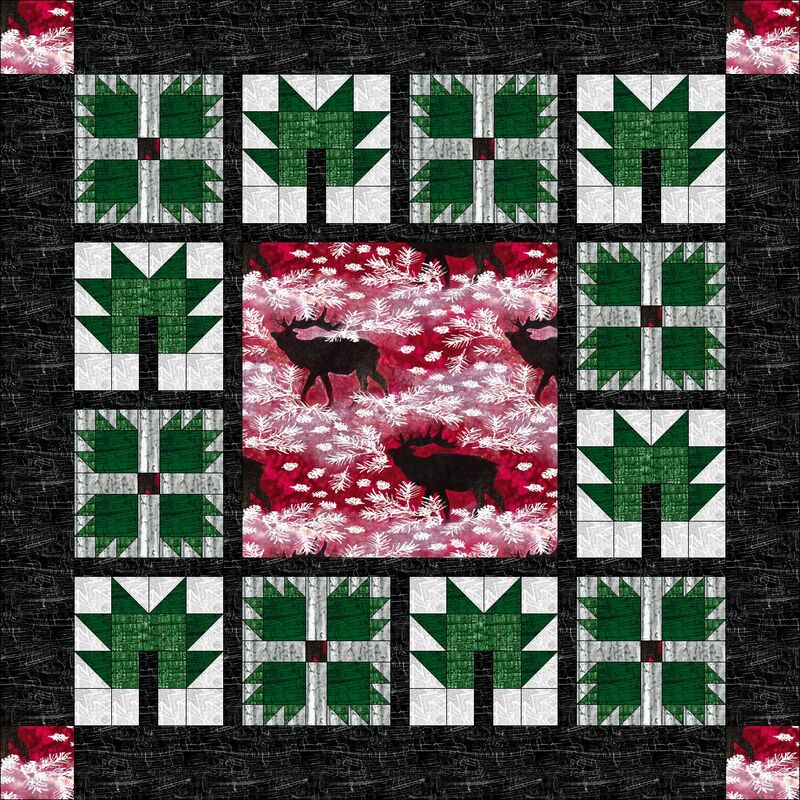 You can download cutting and yardage information for this quilt for free right here. This information is computer generated by Quilt Pro-5 software. Woodland Holiday fabrics are available here. P.S. I'd love to know what you'd like to see on fabric for your next Scrap-bag project. Your input would be so helpful! Please check off all your favorites on this form and your vote will be counted. Then watch for the new designs!